You can't avoid the fact that more and more communication is done by email. Hundreds of emails land in our inboxes every day. If you don't deal with it effectively, productivity drops and you'll be wasting your precious time and effort. Clare will reveal all this and more in this webcast. Simple techniques that will ensure you see results straight away. If you’re overwhelmed by your inbox then make sure you listen in. 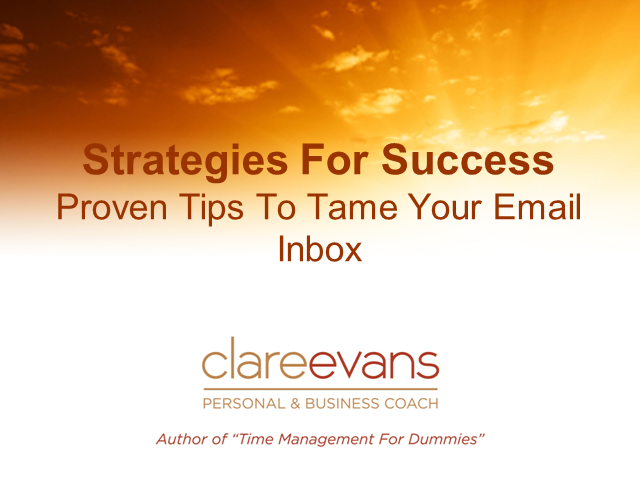 Clare Evans is the author of the best selling “Time Management for Dummies” and works with individuals and businesses to improve their productivity and run a more profitable business.